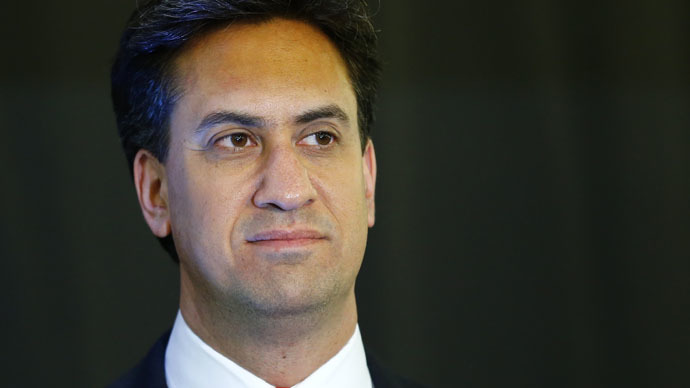 Ed Miliband resigned as Labour leader after his party suffered a crushing defeat in the UK General Election on Friday. He accepted “full responsibility” for his party’s defeat. He reserved particular thanks for “all those people who’ve pounded the streets” for the party. Miliband argued Britain “needs a strong Labour Party,” and said the time had come for "someone else" to take the lead. He praised his deputy Harriet Harman, saying she would take over while that “open, honest debate” took place. “While we may have lost the election, the argument of our campaign will not go away,” he added. “When we see injustice, we must tackle it,” he said. In light of Labour’s abysmal performance in Scotland, and amid rumors of another Scottish independence referendum, Miliband reiterated his commitment to the Union. Despite Miliband’s expression of confidence in his deputy, it took Harriet Harman little over an hour to announce that she would also be stepping down once a new leader is elected by the party membership. Labour suffered a humiliating defeat in Scotland, after the SNP won 56 out of 59 contested seats. Shadow Chancellor Ed Balls is among senior Labour politicians to lose their seat. In a surprise outcome, contrary to pre-election polls, the Conservatives emerged with the largest share of seats. David Cameron is well on his way to securing a majority, while Labour and the Liberal Democrats have suffered humiliating losses. Projections say Cameron will win 328 seats in total – enough to command a majority in the House of Commons. Speaking earlier today after winning his Doncaster North seat, Miliband said: “This has clearly been a very disappointing and difficult night for the Labour Party. “We have not made the gains we wanted in England and Wales, and in Scotland we have seen a surge of nationalism overwhelm our party,” said Miliband, after comfortably securing his own seat with an increased majority. “I want to say to all the dedicated and decent colleagues in Scotland who have lost their seats that I am deeply sorry for what has happened. In the early hours after the poll results came in, some Labour Party members had said it wasn’t the time to replace Miliband and that the blame for Labour’s defeat, most notably in Scotland, couldn’t be pinned on him alone. Labour will now face a leadership contest, with Shadow Home Secretary Yvette Cooper, Shadow Health Secretary Andy Burnham, Shadow Justice Minister Dan Jarvis, Shadow Care Minister Liz Kendall and Shadow Business Secretary Chuka Umunna considered potential successors. The Liberal Democrats under Nick Clegg have been decimated in the election. Clegg called it a “cruel and punishing night” for his party. I am grateful to the people who worked on our campaign and for the campaign they ran. The responsibility for the result is mine alone. The next government has a huge responsibility to bring our country together. What unites us is much, much more than what divides us.